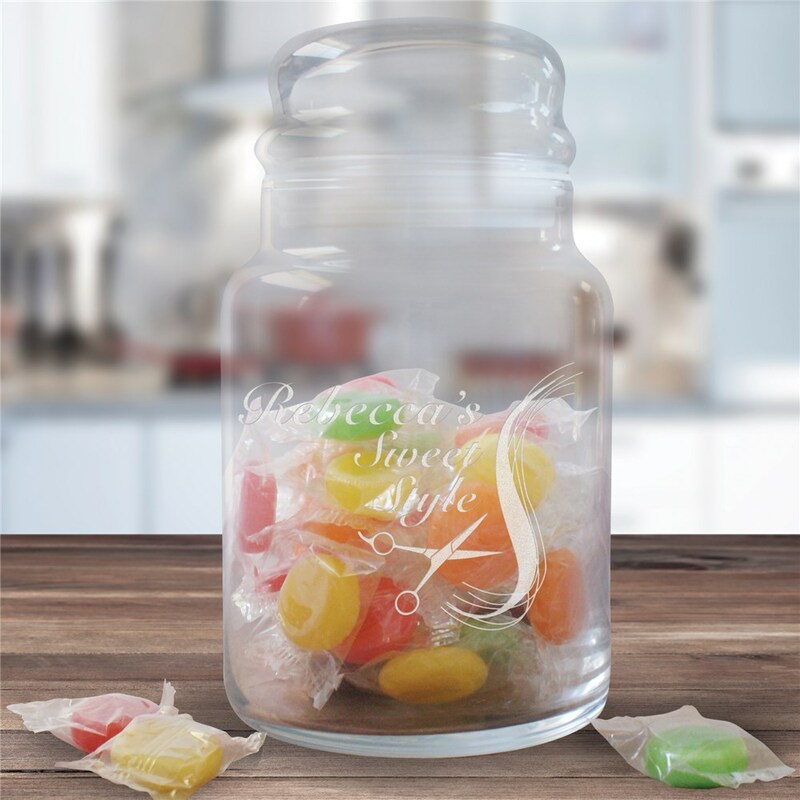 Provide your clients with sweets and little goodies with your own Personalized Hair Stylist Treat Jar. This creative, Personalized Treat Jar also makes a wonderful, personalized gift for your favorite Hair Salon Stylist as a thoughtful thank you gift. Purchased the personalized jar as a birthday gift. Cute and just the right size. However, the letters and design are really faint. The print should be darker; can't really see the print when the candy is inside. My hair stylist will love it. I am going to put lifesavers in the jar.